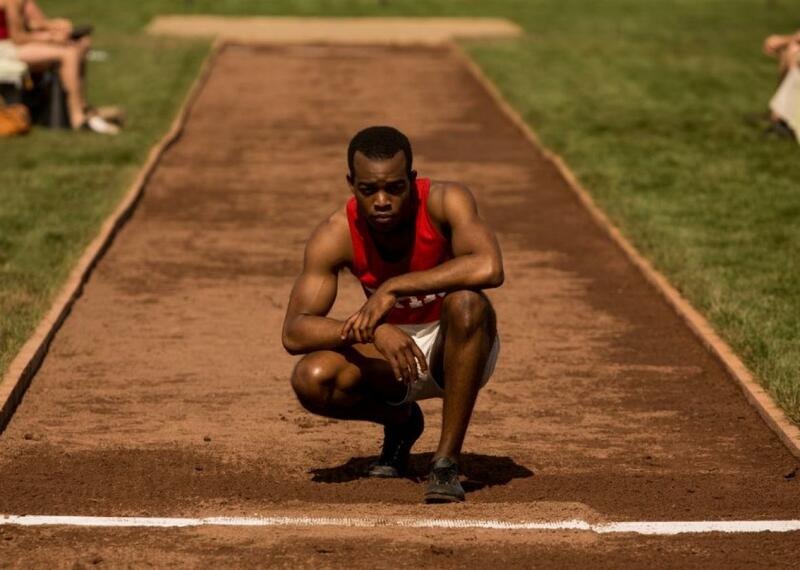 “Race”, starring Stephan James, Jason Sudeikis and Jeremy Irons and directed by Stephen Hopkins, tells the story of the triumphant rise of track and field star Jesse Owens (1913-1980) overcoming adversity to become the first African-American to win four gold medals at the 1936 Summer Olympic Games in Berlin, Germany. James, who received praise for playing Congressman John Lewis during his days as a civil rights activist in “Selma”, plays the role of Owens; Sudeikis, who is known for his work on Saturday Night Live for 10 years, plays the role of Larry Snyder, Owens’ coach during his time at Ohio State University; and Irons plays the role of Avery Brundage, the leader of America’s Olympic organizations who fought against the US’s boycott of the ‘36 Games. The movie is driven by the engaging performances of James and Sudeikis, who display solid on-screen chemistry. There are a number of moments that are well-shot throughout the movie, most notably the scene where Owens walks onto the Olympic stage, but some parts of the film feel rushed. Irons delivers a strong performance as Brundage but the other secondary characters left more to be desired. The movie did a good job of bringing to light many areas of Owens’ life not well-known to the public, such as the NAACP’s involvement in Owens’ decision to go to Berlin and his friendships with fellow track and field athletes Eulace Peacock and Carl “Luz” Long. Peacock attended Temple University during Owens’ days at OSU and, had it not been for an injury, he could competed with him. Long helped Owens adjust in Berlin and helped him succeed, particularly in the long jump where he won gold. The two remained friends until Long was killed in action in 1943 as a soldier in World War II. The significance of this movie is best understood through two areas: this year’s Olympics, which will be held in Brazil, will be the 80-year anniversary of the Berlin Games and the film’s title can be interpreted as having two meanings. While the film is about winning races, it makes it clear that Owens, despite his successes, was not appreciated not only in Germany but also America because of skin color. Owens faces the expected racism at OSU and from Adolf Hitler but one of the film’s most poignant and truthful moments came towards the end. In addition to being denied entry into his own celebration party, he and his wife had to enter through a side entrance and, as they walked, a number of facts appeared on-screen, one of which mentioned the fact that President Franklin D. Roosevelt never invited Owens to The White House to celebrate his victories. The Atlantic, Rolling Stone and TIME all gave Race middling reviews, IMDB gave the film 6.9/10 and Rotten Tomatoes gave it a 60%. The film grossed $7.4 million in its opening weekend, finishing in sixth at the box office. As Black History Month comes to an end, the movie is a must-see and reinforces the lesson that an “ordinary” person can do something extraordinary.